If you’ve spent any time working on an oil rig, then you don’t need us to tell you how dangerous the job can be. Combine long hours, heavy machinery, grueling work, and inclement weather, and you have a recipe for injury or even disaster. Oil rigs are some of the most dangerous work places in America, and accidents, injuries, and even fatalities are sadly a common reality in this line of work. 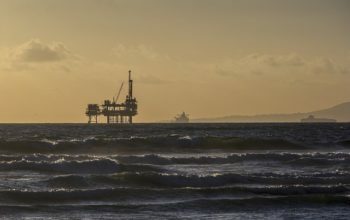 The risks that workers encounter on-board an oil rig are too numerous to mention, but the most common injuries include chemical poisoning, burns, broken bones, head or brain injuries, back or spinal cord injuries, amputations, to name a few. Oil and natural gas work is a major source of employment for many Texans, and the western and central Gulf of Mexico, including offshore oil rigs, is one of the major petroleum-producing areas of the United States. 2017 oil production in the Gulf of Mexico reached an all-time annual high, and forecasts expect continued growth in 2018 and 2019. With the increased demand comes increased work, which unfortunately also likely translates into more workers injured on offshore oil rigs, especially when you couple that with increasing pressure from companies to produce more oil while maximizing profits. This can lead to employers willing to take shortcuts or failing to follow accident-prevention protocols meant to keep their workers safe. Whether you’ve been hurt while being transported to an oil rig, or while working aboard, you may wonder what to do and who to turn to if you’ve been hurt. Your first step is to seek out medical care, even if the injury seems relatively minor. Oftentimes workers may delay seeking out a doctor, thinking that it’s just minor soreness or pain, when in fact, the injuries turn out to be much more severe than initially thought. Having a doctor evaluate you following an accident is also important for legal reasons in order to supply critical documentation about your injury. Your next step is to take notes about anything you can remember about what lead up to the accident, what caused the accident, who was nearby, and what happened following the accident. While you may think the event would be impossible to forget, things often get muddled in our memory, and having this information written down while it is fresh in your mind is helpful. In the aftermath of the accident, you may be encouraged to sign documents from the company, their attorneys, or their insurance adjusters. Many times, these documents are meant to get you to admit some degree of fault, to accept a low-ball settlement, or to agree not to file a lawsuit. You should not sign any documents after an accident without first consulting with an oil rig accident lawyer. Personal injury law is complicated, but maritime injury law is even more complex, which is why you need an attorney who specializes in these types of accidents and injuries. The law firm of Fears Nachawati is here to help. We know the struggles that oil rig workers face and we have seen the devastation that these accidents can cause them and their families. At Fears Nachawati, we are committed to defending workers and we aren’t afraid to stand up to the major oil companies in our pursuit of a fair and just compensation for our clients. The law firm of Fears Nachawati has helped many oil rig workers to recover financial damages after suffering an on-the-job injury while working at an offshore oil rig. If you or a loved one has been injured in an oil rig accident, then call the law firm of Fears Nachawati today. Contact us now for a free legal consultation by calling (866) 705-7584 or visiting one of our offices located throughout the great state of Texas, including in Houston, Dallas, Fort Worth, San Antonio, and Austin.